For many workers, a 401(k) plan is the cornerstone of their retirement plan. With defined benefit plans disappearing, Americans are now charged with making sound financial planning decisions, often with little professional assistance from an advisor. 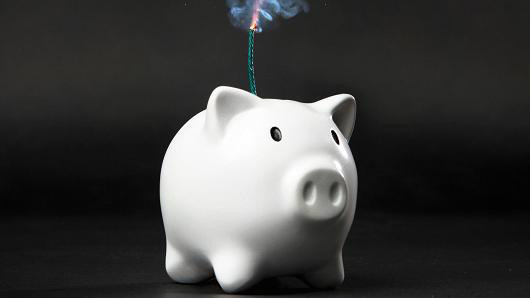 While millions of Americans rely on a 401(k) plan as their main source for retirement savings, it’s safe to say the decisions they make when managing these plans could make or break those nest eggs. Unfortunately, various studies have revealed that the average 401(k) balance for a 65-year-old is estimated to be around $25,000, hardly enough to maintain one’s lifestyle after leaving the workforce. Moreover, many participants reportedly fail to review the selections in their plan or reallocate the portfolio, which may lead to long-term holdings that are inconsistent with their current risk tolerance and time horizon. This should come as no surprise, given that hands-on investment advice is seldom made available to 401(k) participants. Even when the proper tools are at their disposal, it’s apparent that investors aren’t taking full advantage of them. Despite the fact that the advisor of record for a firm’s 401(k) plan has a fiduciary responsibility to offer investors a diversified mix of securities, the level of advice afforded is rarely continuous or sophisticated. As a consequence, many workers find their nest egg unattended to, likely because many financial advisors are unable to be compensated from 401(k) assets and instead focus their efforts on money held outside of 401(k) plans. Fortunately, this dynamic is changing, as several independent provider firms are offering the ongoing institutional money management of 401(k) plans without the employee being required to move the funds outside of the plan or incur any taxable consequences. In fact, a variety of firms now offer online tools to give investors access to a professional third-party manager who chooses the investments and rebalances the portfolio under the oversight of the client’s existing financial advisor. To the extent that a 401(k) plan has a limited number of options, investors still have access to advice. For example, many online tools can analyze performance and expenses, manage track records and style-fit to conduct its selection process. Investors can use the tools to analyze their choices and select an asset allocation. They can also procure services that create a personalized retirement plan and handle the transactions to put their new strategy into action, managing and updating the account to help them stay on track. It’s up to investors to investigate the various online tools that help people save more for retirement and better manage what they have already saved. Basically, these tools are making it easier for employees/investors to be more proactive when it comes to their 401(k) plans. No amount of advice or pedigree will guarantee favorable results, and investors should compare numerous professionals before making a selection. What we do know, however, is that the income from the average Social Security benefit is just about equal to the poverty line for a family of two people, and many of us will depend on the money we accumulate in our 401(k) plans to make up the difference. Nobody uses typewriters anymore, and it’s been years since children have been made to hold the rabbit ears on top of the TV so dad can get good reception (or maybe that was just me). The same principle of maximizing new innovations applies to 401(k) plan management as well, and we can all agree that the stakes have never been higher.